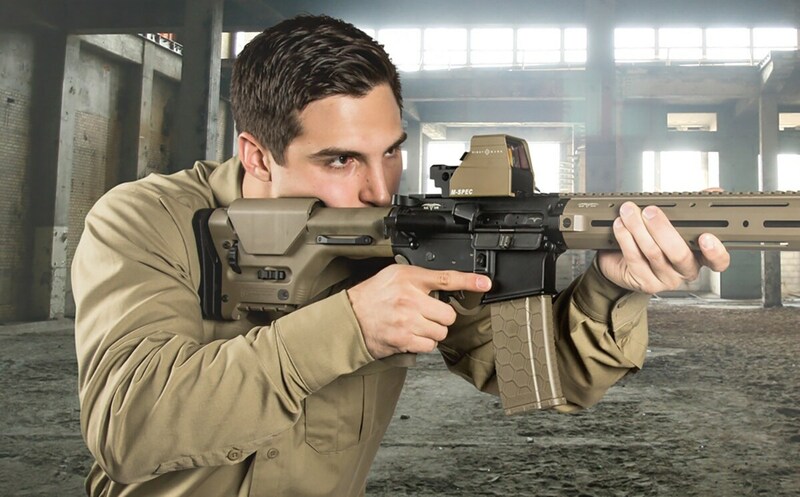 Sightmark joins the colored craze, bringing the Dark Earth finish to its Ultra Shot RAM Series. 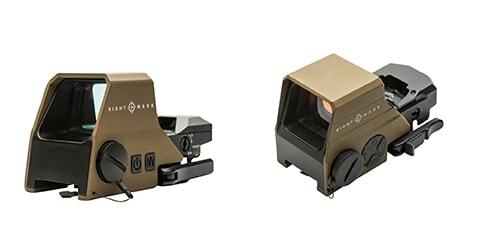 The Ultra Shot RAM Series will feature the new finish on three different models including the R-, A- and M-Spec optics. The series itself is inspired by the military and touts close-range applications for both the AR platform and shotguns. The R-Spec kicks off the new Dark Earth offerings with a fast design offering a clear field of view and advanced, anti-reflective lens. 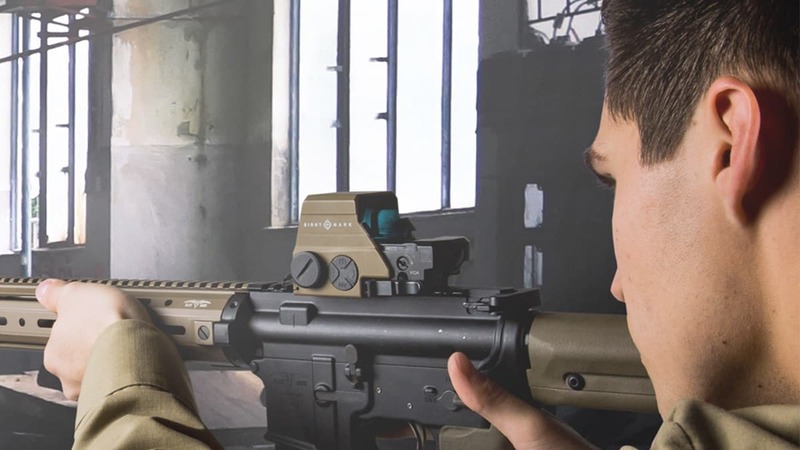 The lens also uses a scratch-resistant style with four red and green reticle options, according to Sightmark. 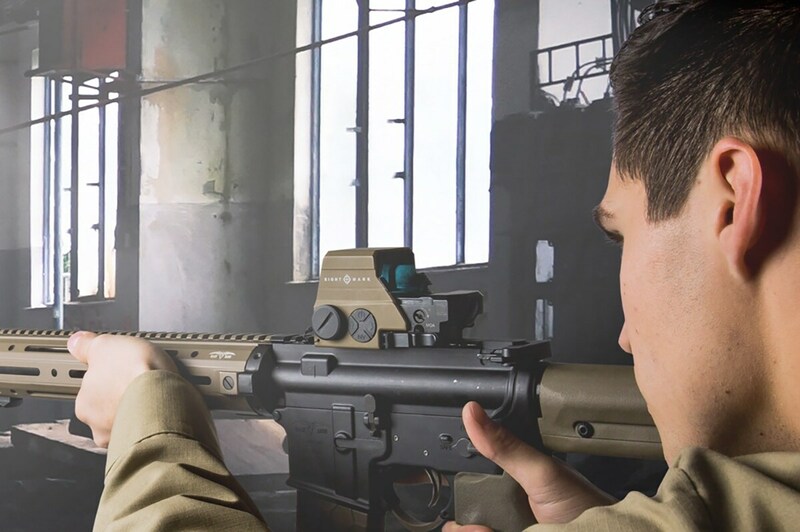 The A-Spec delivers similar benefits as the R-Spec models but elevates the design with six-night vision settings created for night vision devices and goggles. The M-Spec LQD and FMS come into the series as the high-end models, created for law enforcement, hunters and competitive shooters. The M-Spec series sports a retractable sunshade that reduces glare in addition to protecting the optic from weather conditions. The Dark Earth Ultra Shot RAM series will drop in the first quarter of 2019 with prices ranging between $155 and $299, depending on model.